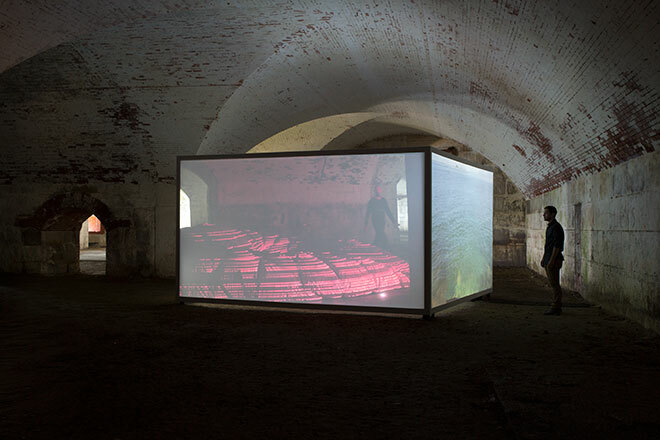 This Land is a Ship at Sea is a single-channel video, a site-specific video installation and a series of photographs. 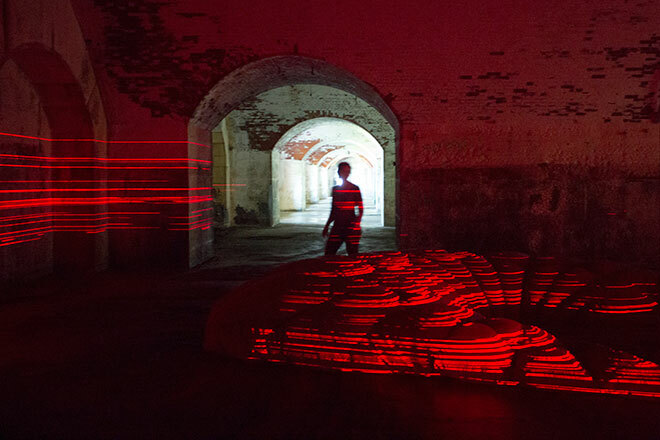 This Land is a Ship at Sea was filmed in the catacombs of Fort Warren on Georges Island in the Boston Harbor—a fort that was obsolete before it was finished on a island destined to be lost to the rising sea level. This video features a sinking island fabricated out of a retired military parachute and 100 construction laser levels.